If you love old-school paper notebooks like Moleskine and use an iPhone, install Meernotes. The beautifully-designed app allows you to take down notes on your phone on an interface that mimics a paper notebook. It’s easy to use — you just tap on the screen and then type your notes. Meernotes lets you take notes on your iPhone using an interface that mimics old-school paper notebooks. Click on photo to enlarge. Meernotes also allows you to insert photos into your notes by swiping up. You can then choose different frame designs for the photo. 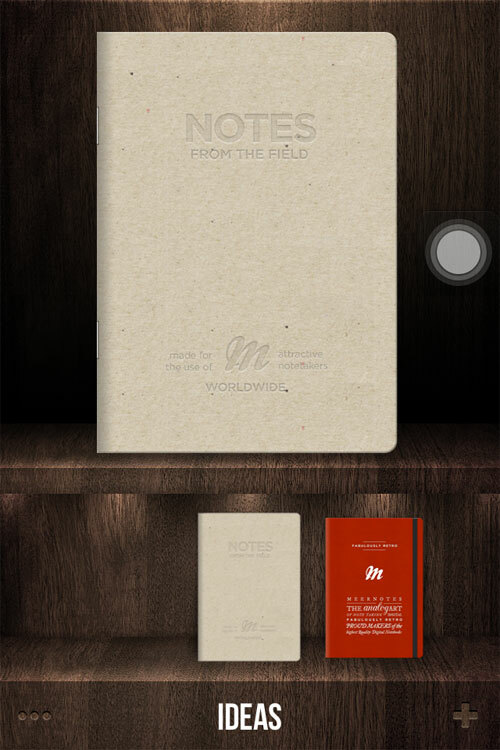 The app allows you to keep several notebooks with various cover designs. Some of the designs, however, can only be used after you pay for upgrades. Meernotes automatically synchronizes notes with your iCloud account. It also has Evernote export and Dropbox import/export capabilities. Meernotes costs $.99 but is currently offered for free download.